The Plateau XLMB features a unique mid-coach walk-around Murphy Bed that conveniently folds up into the wall when not in use. With the bed up, the Ultraleather® covered sofa-daybed provides for a comfortable lounge and dining area. One key feature of the XLMB is the bathroom, which is located across the complete rear of the coach. 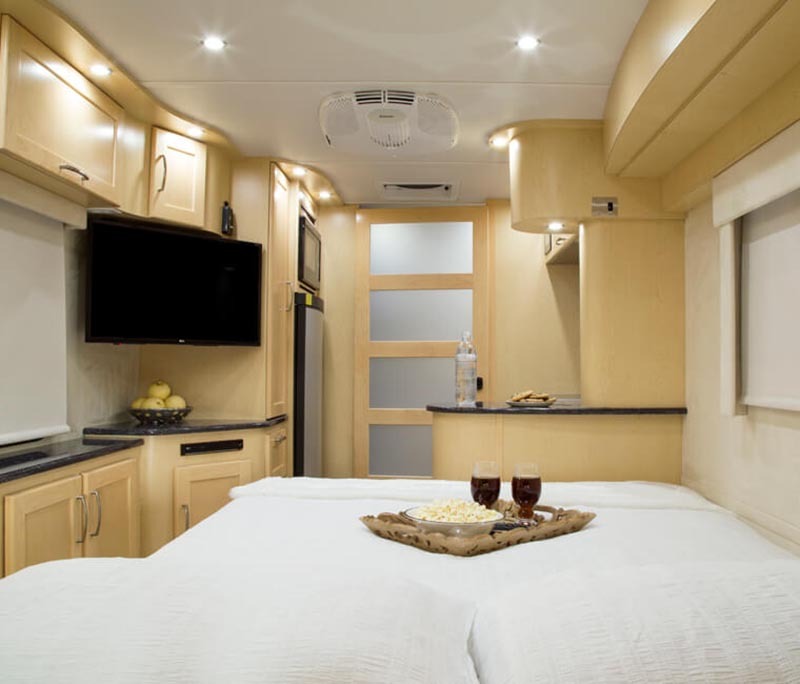 The full separate Corian® lined shower, dressing area, vanity and commode might be expected in a luxurious apartment, but is a very pleasant surprise when found in a 22 foot motorhome. The Plateau XLTD combines the versatility of two 29″ x 74″ twin beds with a spacious floor plan loaded with storage. The front cab area has two separate workstations that can double as a morning coffee lounge. The dry bathroom enhances the appeal of the XLTD with its spacious Corian® and glass corner shower and large vanity usually found in much larger coaches. Plenty of interior storage along with three exterior storage compartments ensure nothing will be left behind for extended trips. Tour the 2018 Plateau XLTS! Meet the 2019 Pleasure-Way Plateau XL TS by Pleasure-Way Industries Ltd. 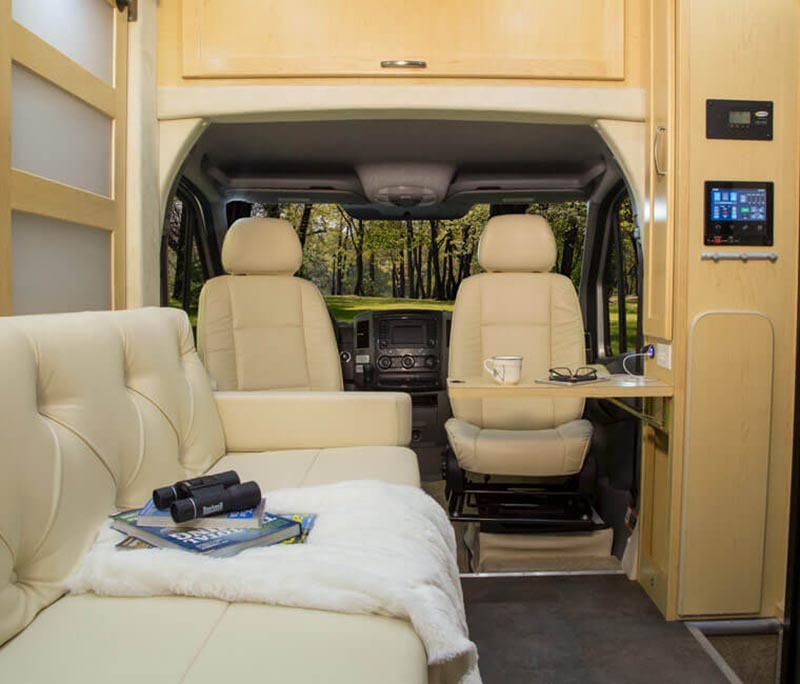 This Plateau XL Class B comfortably sleeps 2. Sleeping arrangements include: 1 sofa bed(s). Conveniently located in this Plateau XL Class B are a Center kitchen with Pedestal Table, Rear living area and Front bathroom. 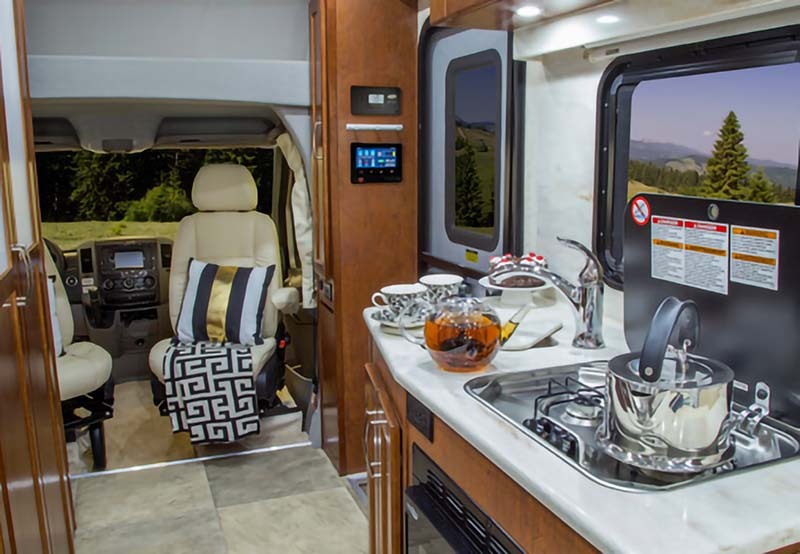 To enhance your traveling experience, the Plateau XL Class B also features Pedestal Table, a stove with oven burners, Mid-Size refrigerator, 1 TVs and more. This Plateau XL TS is 22.75 feet in length and has a GVWR of 11030 lbs. It also offers 1 Black Water Holding Tank(s), 1 Fresh Water Holding Tank(s) and 1 Gray Water Holding Tank(s). This Plateau XL also has 1 door(s) and 1 awning(s). The Plateau XLTS widebody is a new addition to our 2018 model line-up. 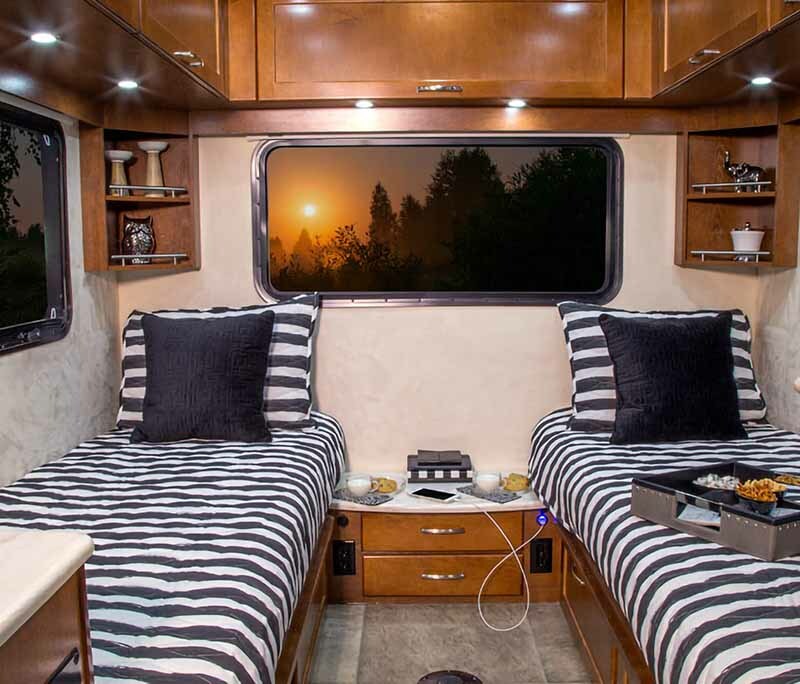 It features a rear power sofa/bed that includes two lap seat belts for travel and easily converts to a very comfortable 74″ X 74″ memory foam sofa bed. This added flexibility will benefit travelers who may want to take extra passengers for travel or day trips. The rear living area includes three large windows that offer a panoramic view of the outdoors and add to the bright and spacious feel inside. Two front cab workstations, a full size dry bathroom and exceptional storage throughout help create one of our most flexible motorhomes.